Whisk the olive oil, lemon juice, and garlic together in a large bowl. Add the nuts, parsley, scallions and mint. 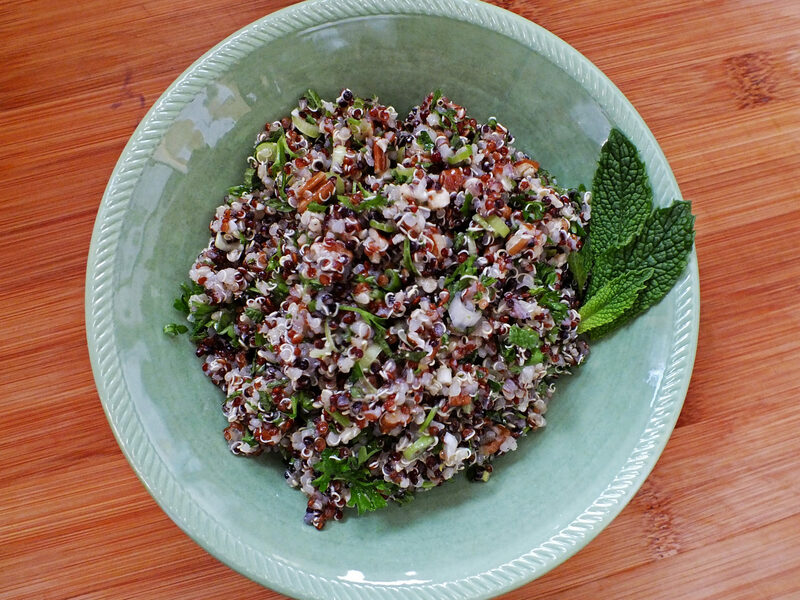 Add quinoa to bowl and toss to combine. Season with salt and pepper. Cover and place in the refrigerator and allow to chill for at least 15 minutes before serving. Gently toss salad, taste, adjust seasonings if necessary, and serve. 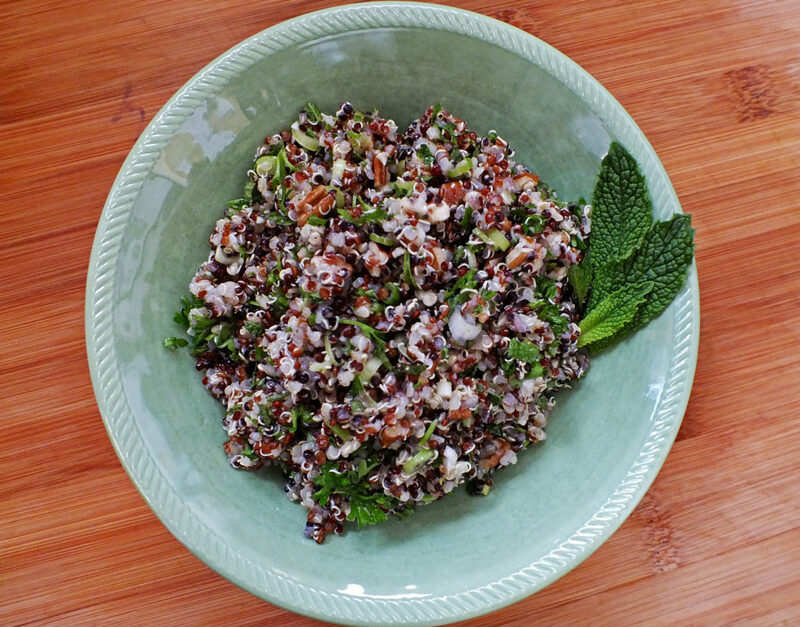 *To cook quinoa, combine 1 cup quinoa, 2 cups water, and 1/2 teaspoon sea salt in a sauce pan. Bring to a boil, reduce heat to low, cover, and simmer 15 minutes. Turn off heat and let steam for 5 minutes. Scoop into a bowl and let cool.